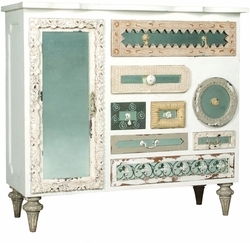 MIRROR MOSAIC SIDE CHEST - Garden Lattice White finish on solid mahogany chest. 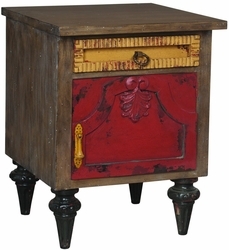 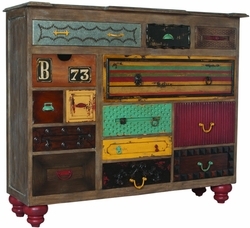 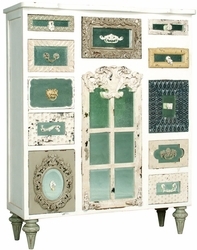 Each drawer is ornately and uniquely carved, hand-painted in taupes, yellows and greys. 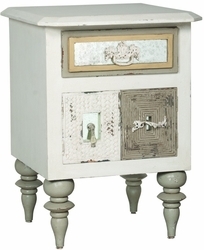 Finished hardware attached to antiqued mirror insets.